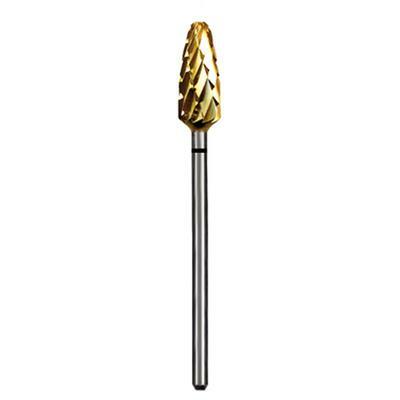 Euro Carbide Goldies® Crosscut – HP, 1/Pkg - Dedeco Intl Inc.
Euro Carbide Goldies® are the latest in abrasive technology – a combination of top-quality tungsten carbide burs and a unique, permanent 0.0001" gold-colored titanium nitride coating. They provide a faster, smoother and cooler finishing of all materials. 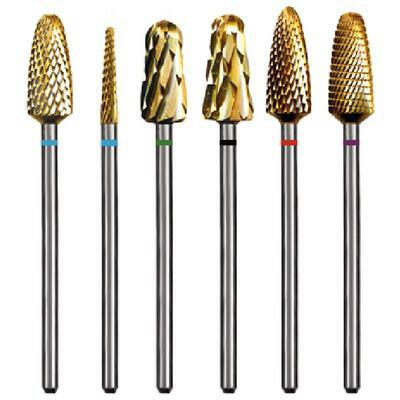 The coating process enhances the durability and performance of the burs, allowing the cutting edges to remain sharper for longer periods of time. During operation, the coating also acts as a continuous lubricant, enabling the burs to provide a smoother finish at higher operating speeds. The smooth cutting action and easy chip flow both contribute to an improved surface finishing. 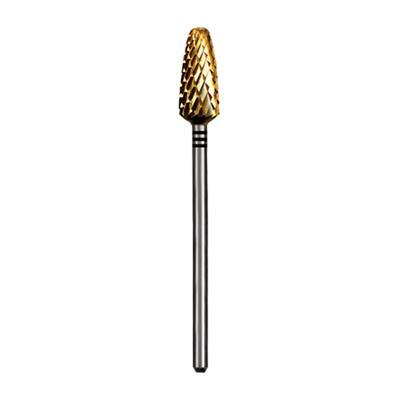 Any procedure that is presently being done with uncoated carbide burs can also be worked with great success using Euro Carbide Goldies®.